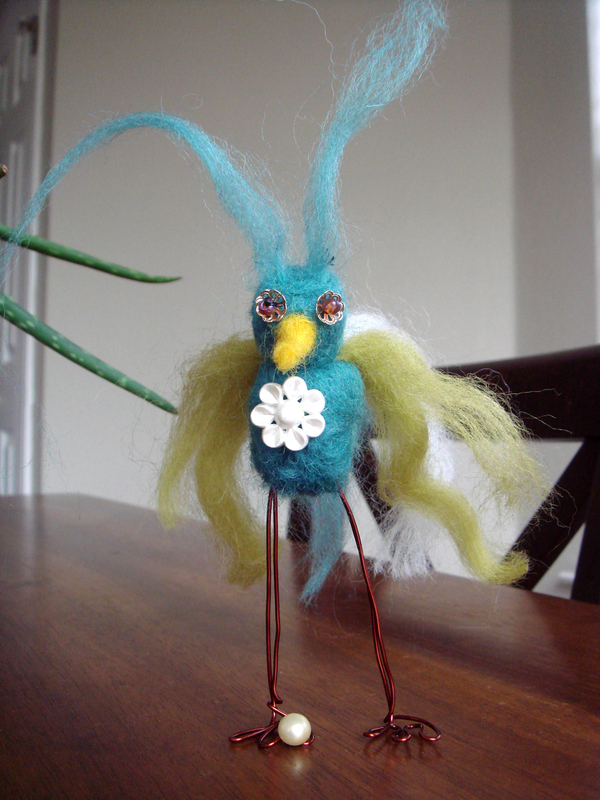 Gadora had such a fun time felting Sr. Pajaro, and has relished how quickly he came together. He is simply silly. This morning, the BFF quipped, “I want a peacock.” Here, complete with toe-ring. At last night’s Wondercraft Grand Opening, I took a few minutes to visit with Austin Etsy artist Joyce Hazlerig of Gypsy Harte who does more than dabble in fibers. The convo got more creative juices going. And today, Le Peacock was born. Her fancy tail-feathers almost draw your eye away from hers, but her frilly button-front shirt ensures you’ll look again. 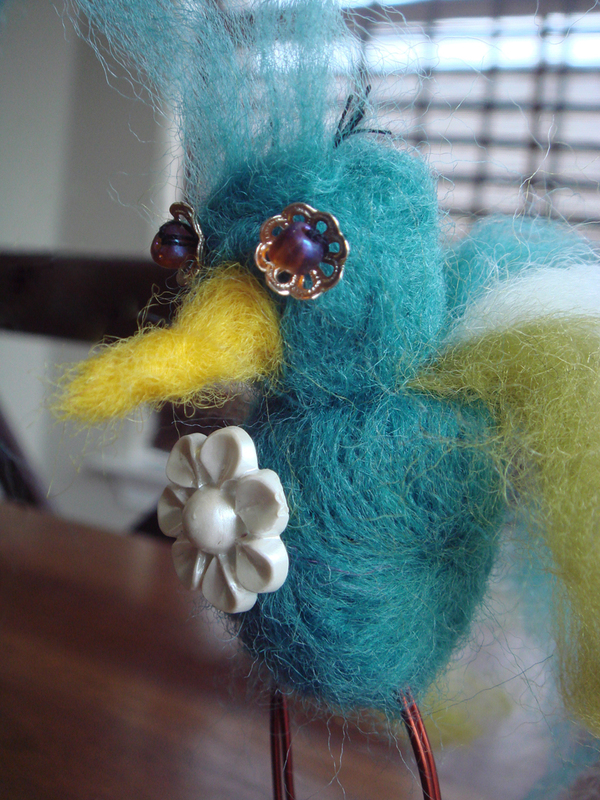 Posted on February 26, 2010 March 6, 2010 by gadorawilderPosted in Los Pajaros..., MusingsTagged felt pet fur, felted bird. Next Next post: Blankets in a pig… pining for swine. You’re BFF is one lucky girl to have such an awesome friend! Le Peacock is Gadorable!